This 2000-square-foot, 3 Bed / 2 Bath home is the perfect retreat from your busy mainland lifestyle, with its vaulted ceilings, tropical island-style furnishings, fully-equipped kitchen, large laundry room, recessed lighting and skylights throughout, front courtyard, and backyard LANAI complete with lounge chairs, gas GRILL, hibiscus, and swaying palm trees. Sliding glass doors from the guest bedrooms and dining room open onto the front courtyard, while the living room and master bedroom invite you to step out into the peaceful backyard and sheltered lanai. Step down into the warm, relaxing, sunken tub in the master bedroom suite. There are extra linens and beach towels. Located on a cul-de-sac in Poipu Kai Resort next to the Grand Hyatt Kauai Resort, Shipwreck Beach is just a short, 3 MINUTE WALK to the east via greenbelt pathways. Brenneke Beach and Poipu Beach Park with its wonderful children's swimming area and playground are a 5-10minute walk to the west, also via greenbelt pathways. Enjoy the outdoor gas BBQ grill and patio dining. If you choose to stay in touch with your office, you will find a dedicated, high-speed, Internet access line as well as wifi. There are tropical breezes and ceiling fans throughout to keep you cool. The master bedroom has a KING, there is a QUEEN in the second bedroom, and 2 TWINS in the third bedroom. Additional sleeping for 2 extra guests upon request. We live in the California Bay Area. We have 3 children and visit this house every year at least 3 times. We consider it our home away from home and our kids love the island and all its activities. We always discover something new on each visit. We bought this house after visiting Kauai numerous times. Our first visit to the island was to the north shore to backpack the NaPali coastline. Since then, we decided to buy on the south shore due to its centralized location, resort feel and drier weather. We know you will love the location in Poipu since the house is within walking distance to 3-4 different beaches, restaurants, shops, pool and tennis. Our extended family love the privacy of the inner courtyard, the closeness to the Grand Hyatt and the beaches, and our parents love the single level and openess of the house. When our kids were younger, the inner courtyard and backyard were a great place for the kids to play. Poipu Kai tennis courts are a 5 minute walk on a garden pathway. We had a great family vacation! We traveled with 6 adults and 2 babies (18 and 16 months). The house and yard was perfect for children and toddlers. The beach and pool were walking distance and 2 other beaches just a 5 minute drive. The only reason I gave it 4 stars because there is no air conditioning, but there are ceiling fans and floor fans in every room. The owners were very easy and accessible. I felt we were lucky with great weather, this side is the sunny side so we were able to go to the beach every day. 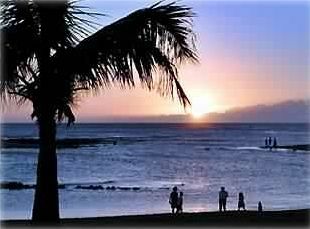 We enjoyed our stay at the house very much - short walk to Poipu beach and short drive to grocery stores and other shops. The layout of the house is good and the great room makes it feel very roomy. The temperature inside the house stays in the comfortable range this time of the year. Overall, a great house to stay in Poipu. We loved our time in Kauai. This home had comfortable beds, a well stocked kitchen, and was conveniently located to everything we wanted to do. Our family of seven had more than enough room to spend quality time together, but also have alone time when needed. It had everything we needed, clean and kid friendly. Great location. High end neighborhood. We were there with our 2 adult children, their spouses, and a grandchild. The house was perfect for us. It was super clean, a well equipped kitchen, and lots of gear for beach activities. Sonya responded promptly to all our inquiries and went out of her way to make sure that our stay was enjoyable. Good location, no problems, very pleasant.